Dress Down: Don’t show up in your designer duds and jewels and expect to get a discount. The seller won’t believe you when you say you can only pay x amount. Greet the Seller: Smile and say hello when you arrive. In France, it’s offensive not to greet the shopkeeper, and you may be ignored when you’re ready for help. It’s rude here too, especially since you’re about to ask for a favor. Flea Markets: The vendors expect haggling. Most allow for some wiggle room when pricing their wares. You may not get the exact price you want, but you should be able to get some sort of discount. Yard Sales: Some sellers expect haggling and price accordingly. Others act shocked when you ask. Haggle anyway. To them, that stuff isn't stock. It's clutter -- and they don't want to drag it back into the house when the sale ends. Because of this, you may get deeper discounts at yard sales than at any other venue, especially if you're haggling at the end of the day. Junk Stores and Antique Malls: Though the booth owners aren’t usually onsite, many arrange with management to give a discount if someone asks. In my area, it’s often an automatic 10 percent off just for asking. Unless the tag says firm, take the item to the checkout area and ask. If it's too big to carry, just take the tag. Thrift Stores: It varies from store to store. The clerks rarely have the power to negotiate, so ask for a manager. You might get lucky if they’ve had the item for a while; sometimes you can tell by the tag. Don’t Offer Too Little: Don’t insult the seller by offering less than half of the tag price. Start at a little more than half and expect to meet somewhere in the middle. Offer Less Than You Want to Pay: Expect the seller to counter your first offer. If it's too much, try again. Eventually, you'll land on a price you both like. Point Out Flaws: Don’t criticize the merchandise, but politely point out any flaws or damage. Be Nice: Remember that you are negotiating, not arguing. Rudeness to a seller could cost you more than the current negotiation. Flea market vendors might remember you the next time. If you get a reputation for rudeness at yard sales, the other regular shoppers -- the ones you seem to run into at every other sale -- may warn sellers about you when you arrive. 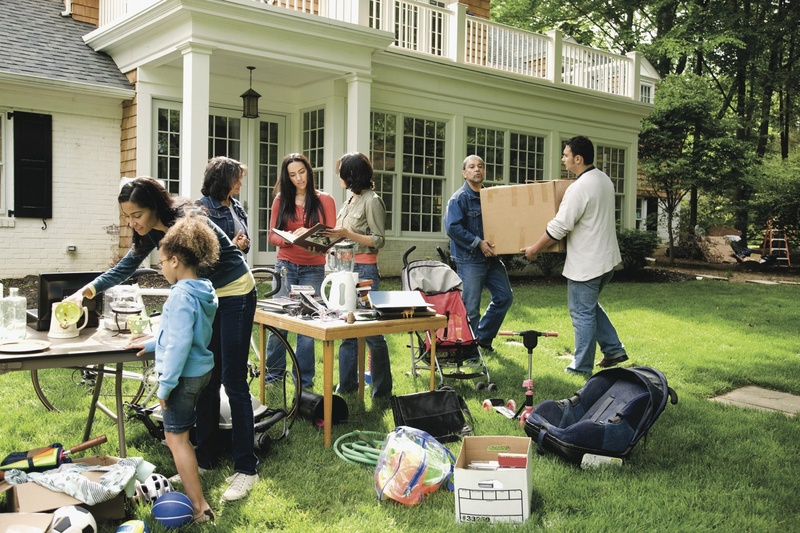 Buy in Bulk: Offer a group price if a seller has several items you want. Selling multiple items is a bigger incentive to deal. Have Cash in Hand: Make an offer and hold out that amount of cash. That’s harder for the seller to resist than when you ask without showing them the green. Ask, Then Be Silent: Once you make an offer, be quiet. In any negotiation, once an offer is on the table, the first person to speak usually loses. If the seller counters, be silent again. The seller may sweeten his own deal. Be Willing to Walk Away: If you don’t reach an agreement on price, walk away. You can always come back later in the day if the item hasn’t sold. Ask what time they plan to close. Shop Late: You’ll get better deals at the end of the day. The sellers are tired, and they'd rather sell something for less than pack it.